Ever wondered what goes in the mind of a banker? What about a banker who is also a CEO? Here are the thoughts of East West Bank’s Tony Moncupa, Jr.
‘A banker is someone who offers you an umbrella when the weather is fine and snaps it back at the first sign of rains. They offer all sorts of loans to the moneyed and those who don’t really need it but snub those who need their assistance badly. They are nothing but fair weather friends’. We’ve heard this line many times. What those who are saying this don’t realize is that banks are lending money entrusted by depositors. If the loan is not paid, the banks will not be able to pay back its depositors. When a bank fails, too many innocent depositors are dislocated. Their financial lives are ruined. That is why bankers have to exercise great care in lending. Bankers are pro-depositors, not anti-borrowers. Its first duty is to protect those who put their trust in them. We got this query. ‘I am starting a business. I need capital. I went to several banks to borrow but the banks would not lend me? How could our economy progress and create more jobs if banks will not support budding entrepreneurs like me?’ All those starting a business believe they will succeed. Just like candidates in elections. They all think they will win. The data though do not bear this out. In the US, only 3 in 10 succeed. Most likely, our numbers will not be far from this. Banks know this and most likely had sad experiences with start-ups. And being pro-depositors, they will scrutinize more thoroughly those with unproven track record. When we don’t feel well, we go see our doctor. When our tooth aches, we go to the dentist. If we want to learn more orderly, we go enroll in a university or take some special classes. Sometimes, by ourselves, we simply burn the midnight oil in serious study. In other words, when we want something important enough, we consult experts or train ourselves. But when we invest our money, we could be less careful and even get hoodwinked by sweet talking pyramiding scammers. Consider going to investment professionals. The true professionals will help you understand investment alternatives, explain the balance of risks and rewards, and even gauge your readiness to withstand the euphoria of winning and the frustrations of losing. They are trained to assess what investment is suitable for you. If you still don’t understand and remain unconvinced, be patient and study a bit more. Stay in simple time deposits in the meantime. Know your financial emotional quotient. No additional returns are worth a possible heart attack. Which expert should you go to? You can follow the same principles you use when in choosing your dermatologist or lawyer. Choose those with solid reputation and track record. Occasionally, we are asked where to invest. Always, we qualify our response. There is no ‘one size fits all’ answer to the question. It really depends on a person’s risk appetite, sophistication and personal circumstances. It will be helpful though to consider some basic concepts. For instance, generally, higher returns carry with it higher risks. And if it is too good to be true, it must be false. For example, we see a proliferation of ads of supposedly success stories of people who engaged in Foreign Exchange trading on margins. We think this is very risky. Our unsolicited advise – don’t even think of it. There are good fund managers around who are able to generate consistent high returns. We know of an excellent mutual fund that invest in stocks that has made a P100,000.00 investment 10 years ago grow to more than P850,000.00 today. That is a compounded annual growth of around 24%. But there are no guarantees and returns could fluctuate. In 2008, the fund lost 40.7%, while lower than the PSE index decline of 48.3%, it is still a huge loss. And if you are risk averse, it could cause you some sleepless nights. Risk could be managed though by following the concept of not putting all your eggs in one basket. In investing, it is called portfolio management. Banks have trained investment advisers who can assist in designing the right portfolio for you. Next week, will touch on the hottest financial fashion – the stock market. 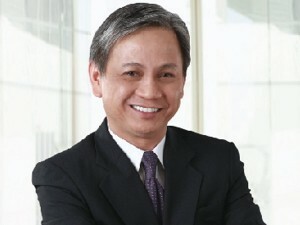 Tony Moncupa, Jr. is the President and CEO of EastWest Banking Corp. Please e-mail your questions, comments, suggestions to [email protected].